CHR210. Communication for Ministry is a study of rhetorical theory and the process of communication in a contemporary setting, with particular focus on the local church context. Areas of communication to be addressed include preaching, teaching, interpersonal communication, communicating via electronic media, and marketing for ministry. CHR230. Southern Baptist Life and Structures is a survey of the characteristics of the Southern Baptist Convention as a Christian denomination, including its purposes, agencies, and institutions. Requires travel to the South Carolina Baptist Convention, a two-day event which meets in mid-November. CHR360, CHR522. Pastoral Ministry is an introduction to the theological foundations and practical strategies relating to pastoral ministry, including: pastoral care, worship, discipleship, spiritual disciplines, and topics in local church ministry. Prerequisite: CHR250 or permission of instructor. CHR372. Preaching Practicum gives students the opportunity to practice and further develop skills developed in CHR362, Christian Preaching. Students will sharpen their skills in effectively preparing and delivering sermons, discover insight on developing genre specific sermons, and learn to develop and implement a preaching plan. Prerequisite: CHR362 or permission of instructor. CHR382. Spiritual Formation in Ministry is a survey of biblical foundations, theological principles, and practices of spiritual formation for the minister. CHR521. Evangelism and Church Health is An introduction to the disciplines of evangelism and church health, including their biblical basis and theological foundations along with a study of strategies, methodologies, and trends with a focus on their practical application. CHR503. Hermeneutics and Exegesis is a study of the history of the formation of the biblical canon and development of the English Bible, the goal of biblical interpretation, the presuppositions involved in the interpretation, the means of arriving at the meaning of an ancient text along with its present-day implications, and the application of those principles to biblical exegesis for preaching and teaching. Students will learn to exegete texts using various tools, including electronic resources. CHR510. Leadership I is a study of the principles of organizational leadership with a particular focus on the local church context. Topics will include ecclesiology, church polity and structure; financial management & budgeting; fund-raising and capital campaigns; personal management (time, finances, emotional management); and spiritual disciplines for ministry. CHR530. Leadership in Ministry III is an application of principles of organizational leadership to specific issues within a ministry setting, including: crafting and casting vision; project management; leading change; negotiating decision-making; strategic planning; risk management; space utilization; and accountability in leadership. 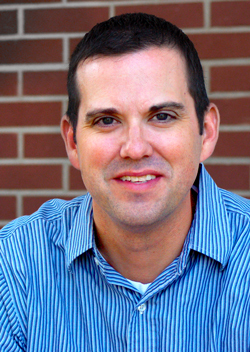 Kristopher Barnett is a graduate of Southwestern Baptist Theological Seminary with a Master of Divinity in Biblical Languages (2001) and a Ph.D. in theology with a concentration in preaching (2008). His dissertation was A Historical/Critical Analysis of Dialogical Preaching. His undergrad work was completed at Angelo State University in San Angelo, Texas with a B.A. in Communication (1997). Prior to joining the Christian studies faculty at Anderson University, Dr. Barnett served as pastor to three different churches; Forestburg Baptist Church (TX), Ridglea West Baptist Church (TX) and most recently, East Pickens Baptist Church (SC). Prior to pastoral ministry, he served as youth minister at two churches and did a youth internship at another. 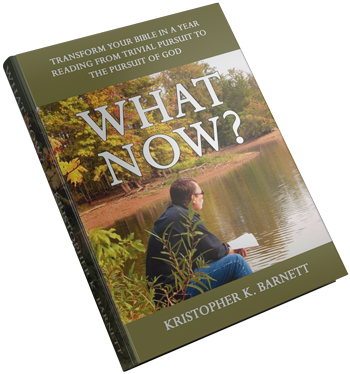 Kristopher Barnett is the author of What Now?, a companion guide to the Bible. He is a member of the Evangelical Homiletic Society and has twice presented papers at the EHS conference (Wake Forest, NC and Birmingham, AL). Dr. Barnett enjoys filling the pulpit for local churches and serving in an interim role for churches seeking a pastor. Dr. Barnett is married to Kelly, who is a graduate of ASU with a Bachelor of Science and Master of Science in psychology. They have four children, Kenzie, Karsen, Noah, and Kassie. I love to creatively communicate God’s Word to His people. As a pastor, I enjoyed standing before God’s people and sharing with them the truth that God revealed to me in the study. I loved to see the looks on their faces as the Holy Spirit illuminated God’s Word and they “got it.” As a teacher, I want to train others to discover the Truth of God’s Word and communicate that Truth in ways that will arrest the attention of those that listen to them. I firmly believe that God is calling the church to produce committed disciples who will live out their faith beyond the Sunday morning experience. I want to prepare future and current church leaders for the task of “making disciples of all nations.” I believe that God is going to change the world through the College of Christian Studies at Anderson University!